An editor based out of Toronto Canada, working with broadcast giants like CTV, MTV Canada, Much Music and Bell Media, as well as a variety of film production companies. As an associate member of the Canadian Cinema Editors, Tej Babra has lead various workshops, on editing and advanced compression techniques at York University, Ryerson University and Optix. 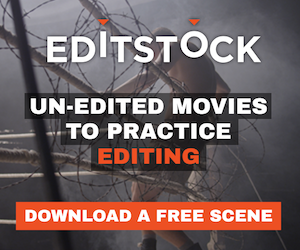 An editor's journey of challenges and insights that cover all stages of the editing process from reading the script through to picture lock. What is FinalCutWhiz.com? It is a website where people can learn how to use Apple’s video editing software. It is mostly tutorials on Final Cut Pro/Express, but there are also tutorials on how to use Motion, Soundtrack Pro, DVD Studio Pro, and all other applications included in the "Final Cut Studio" package. Information and tutorials on Digital Rebellion products, plus technical tips for Final Cut Studio, Avid Media Composer and Adobe Premiere Pro. Life and Media. In Transition. Tech reviews and insightful commentary on editing and the media industry. Editor-in-chief is Jason Konoza, based in Edmonton, Canada. Terry Gallacher: recollections of a career in film A continuing series of articles about documentary film making from the days of Movietone in 1945. Founder of Art of the Guillotine, Gordon Burkell examines editing in this blog that includes reviews, articles and post talk.